There’s quite a lot you can say about Alfie Templeman. First off, he hasn’t even finished his GCSE’s yet and he is touring and performing support sets on a school night. And secondly, this young Mac DeMarco can play, write and sing better than most of the overproduced tracks available to stream. 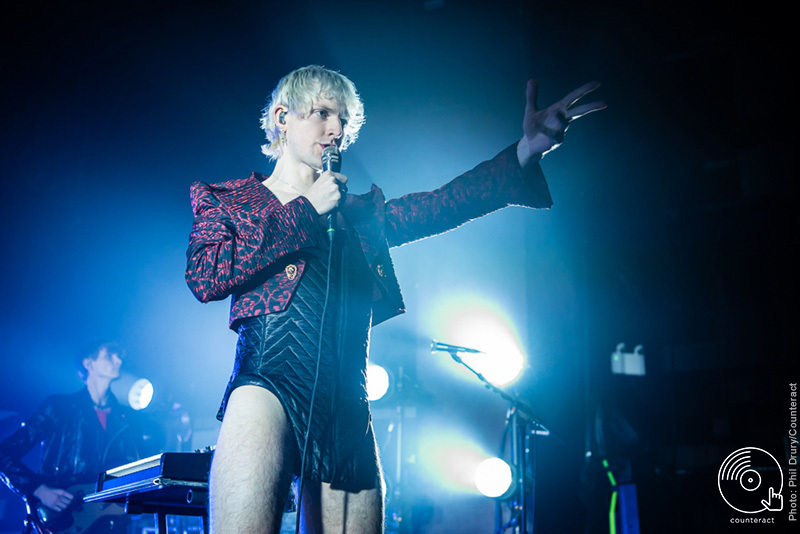 Despite being his first performance as part of Sundara Karma’s tour, Templeman succeeded in engaging the crowd as groups of girls dance-stepped side to side and snapped their fingers along to beat. 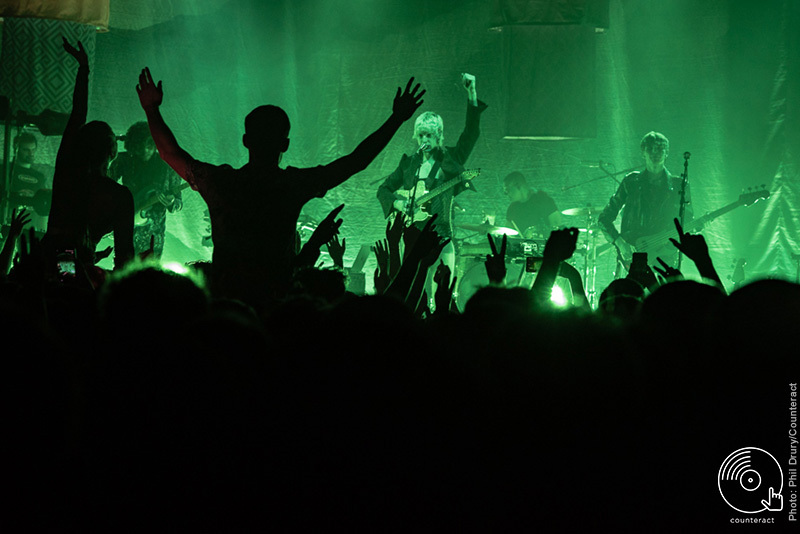 ‘Like An Animal’ received a small cheer from the crowd, with it’s mish-mash of layered vocals and slacker guitars. Alfie’s newest tune ‘Stop Thinking (About Me)’ is a little different to his other songs, playing on an R&B oriented beat alongside some angsty lyrics. To see this young talent in action, you can find him at Truck Festival later this year. 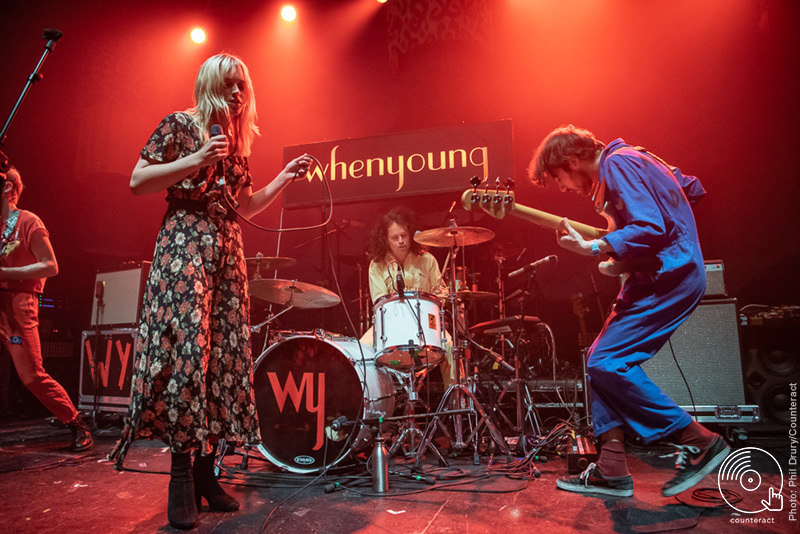 To kick off the next support’s set, Irish band whenyoung walzted onto the stage with matching boilersuits in an array of colours and with the band’s logo printed on the back. 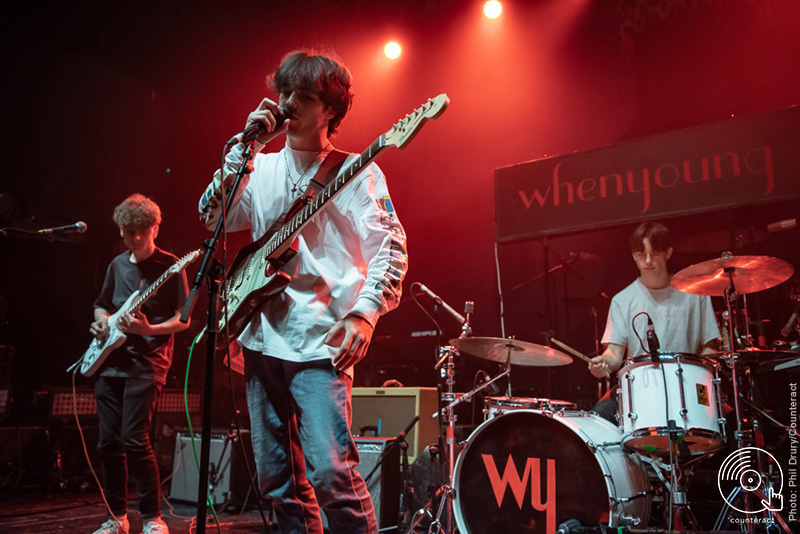 At this point in the night, the room is beginning to fill and lead singer Aoife began singing ‘Pretty Pure’ – a melody following closely to the indie pop genre and feminine vocals similar to MacIntyre’s in Marmozets. As the set goes on, Aoife’s releases more of her Irish drool and her social conscience as she opens up about ‘Look To The Future’ – a song, angsty and heavy in both sound and meaning. The song was written shortly after the Grenfell Tower tragedy for those who are disregarded in society. Their set ended on ‘Never Let Go’, which boasts a punchy chorus and outstanding melismatic vocal range. This band certainly awakened the spirits of those in the crowd as they took part in simultaneous jumping for the final few minutes. As part of the well thought out and sensory-bombarding production, a trio of cascading lampshades hanging above the stage. 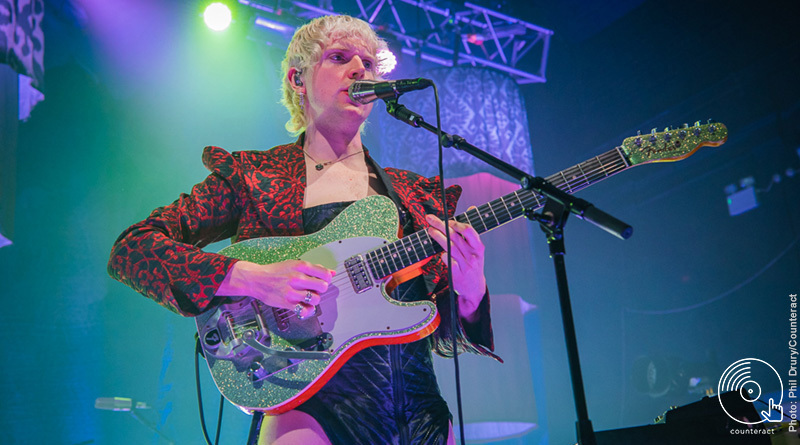 Three quarters of Reading based quartet Sundara Karma walk on stage with their polished retro look – matching leopard print accessories including a tie, shirt and fluffy red suspenders. 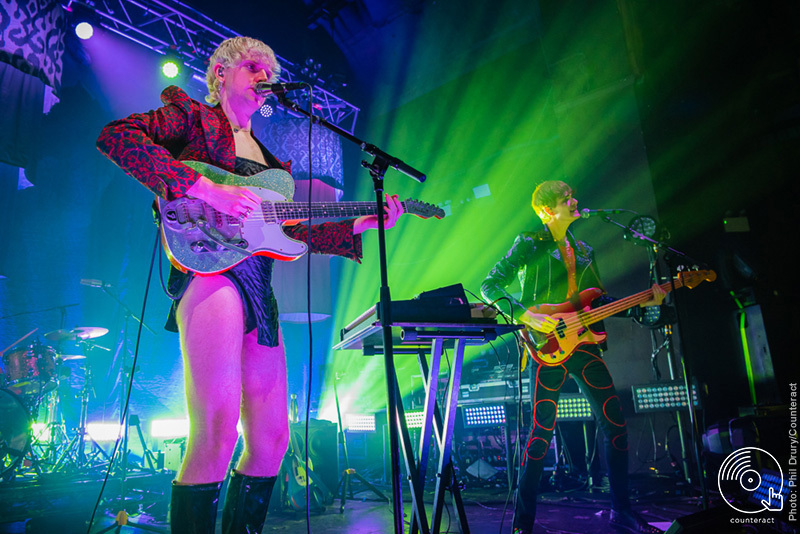 As usual, Oscar Pollock floats onto stage last and in a different attire: an armoured corset underneath a cropped red leopard print jacket, a look finished off with patent knee high boots. Matching dangly earrings add to the effeminate touch. Blue psychedelic lights move across the room and a deafening roar from the crowd is heard as the band begin their set with their rapid firearm song ‘Higher States’. The band switch between songs old and new as ‘Flame’ is next. Several mosh pits open during the first verse and a fire is igniting in those taking part..
‘Sweet Intentions’ briefly slows things down but the Birmingham crowd refuse to be silenced and instead embrace their inner dancer by opening up another circle pit. The momentum did eventually arrive at a more gentle pace with the crowd swaying to ‘The Changover’ – though the calmness was short-lived and the crowd erupted as ‘Loveblood’ began. Returning for the second part of their set, lead singer Oscar opted to leave his beloved corset behind and showcased an elegant black dress with slits and a Zorro-like mask attached to a feathered halo above his head. As ‘One Last Night on This Earth’ closed the night, the crowd utilised their final few minutes by dancing hard, and throwing half-empty cups of liquid across the room.